and organic kelp for a relaxing soak. Our soak will leave the skin silky smooth ! 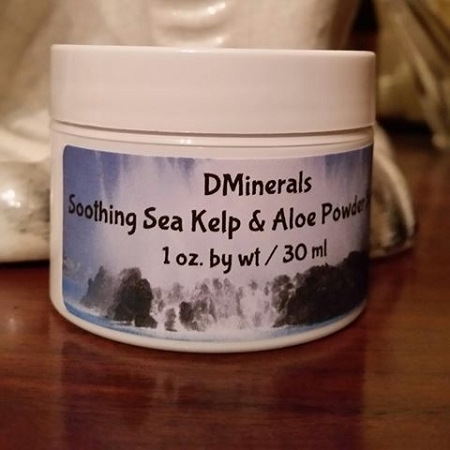 Relaxing-Soothing-Hydration filled with trace minerals and Omega-3 Essential Fatty Acids ! Just use 1-2 tablespoons per bath ! “DMINERALS” ORGANIC BERRIES & OXYGEN FACIAL SCRUB 2.25 OZ. Copyright dMinerals. All Rights Reserved. eCommerce Software by 3dcart.